Little laughs can be contagious. From helping out with the little ones at church to watching my girls babysitting, there have been lots of giggles around here lately. It was fun hearing the sweet things that made them giggle. Summer is my husband's busy season at work, so we don't plan a lot away from home, but we are enjoying the farm. 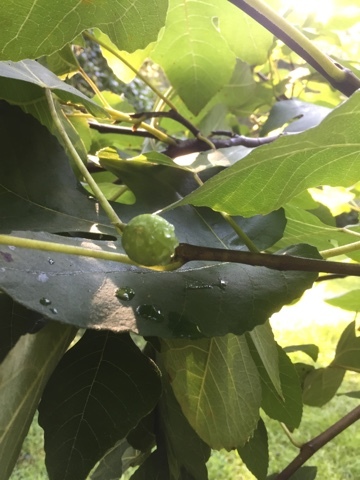 Figs are our current crop, but there was only one ripe this morning. I'm hopeful yesterday's rain will mean we harvest a few more. 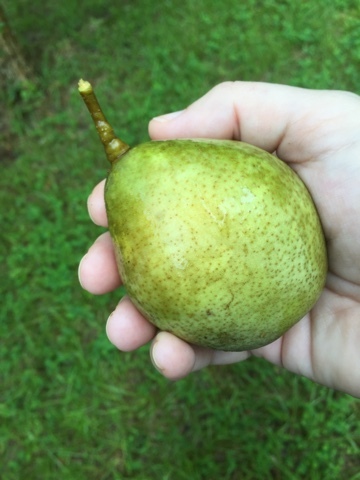 The pears are growing but not quite big enough yet. 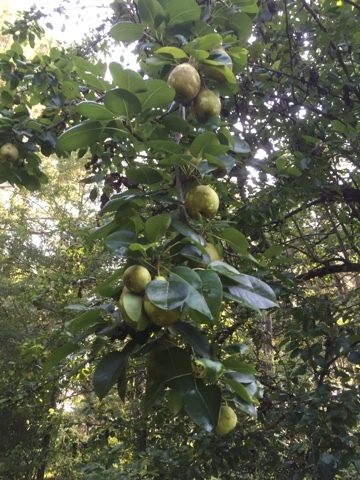 I've been picking about one a day but am looking forward to cooking pear sauce once they are ripe. We have been staying inside because the days are so hot, and some of our inside fun has included Lego play, cooking, and reading. What does your summer family fun time look like?